Square’s The Quiet Man is an experimental game for sure. 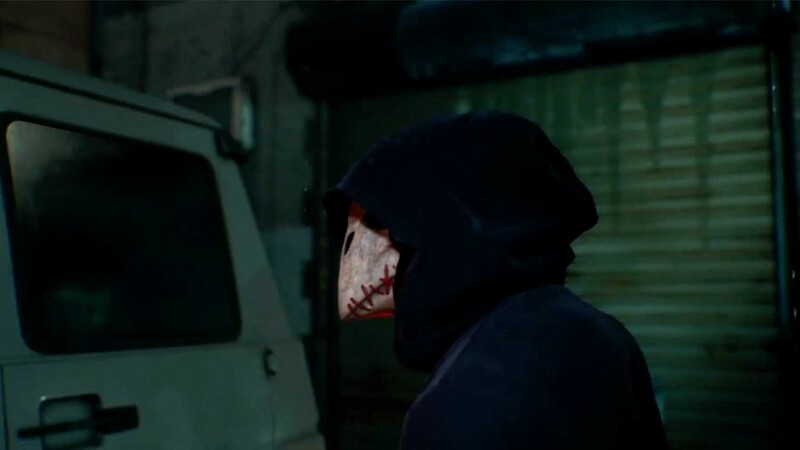 This three-hour experience combines live-action storytelling with simple brawler gameplay to tell a story about a deaf man and his quest through a soundless world to rescue a woman from a masked man. Some people felt it was the worst debut at E3 this year, because its announcement trailer looks bananas. I don’t know what he’s talking about. Fortunately, a recent livestream helped shed some light on the project, but I was curious to know more, so during a Gamescom interview, I asked Fujinaga about The Quiet Man’s combat. Fujinaga also explained that Man of Action Studios helped develop The Quiet Man’s narrative. Man of Action is an entertainment group founded by a collection of renowned comic book veterans such as Duncan Rouleau, Joe Casey, Joe Kelly, and Steven T. Seagle. Together this team has worked on projects like Ben 10, Generator Rex, The Secret Saturdays, and Big Hero 6, so it will be interesting to see what they brought to the table for the Quiet Man. The Quiet Man is relentlessly weird, but that weirdness could be a strength if it also comes across as charming. We won’t be able to judge that until we get to play the game ourselves. The Quiet Man will be available for download for $14.99 on PlayStation 4 and PC. Square remains’ quiet about the release date, which seems a little too on brand.